Jonathan Clements is Director of Financial Guidance for myFi (www.myFi.com), a new financial service from banking giant Citicorp. Before joining myFi, he spent eighteen years at the Wall Street Journal, where he was the newspaper's award-winning personal finance columnist. He has appeared on ABC's Good Morning America, CNBC, CNN, Fox News Channel, MSNBC, NBC's Today show, and Consuelo Mack WealthTrack, and is an occasional guest on public radio. 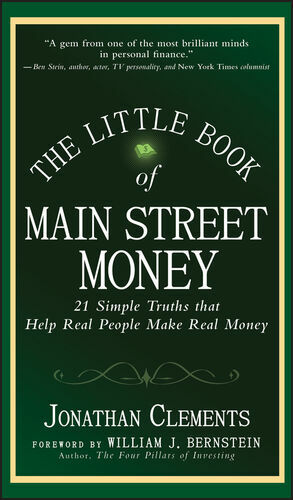 "From how to save more to how to invest better, this book delivers the goods on how to lead a rich life (in every sense) and does so in less than 200 pages."